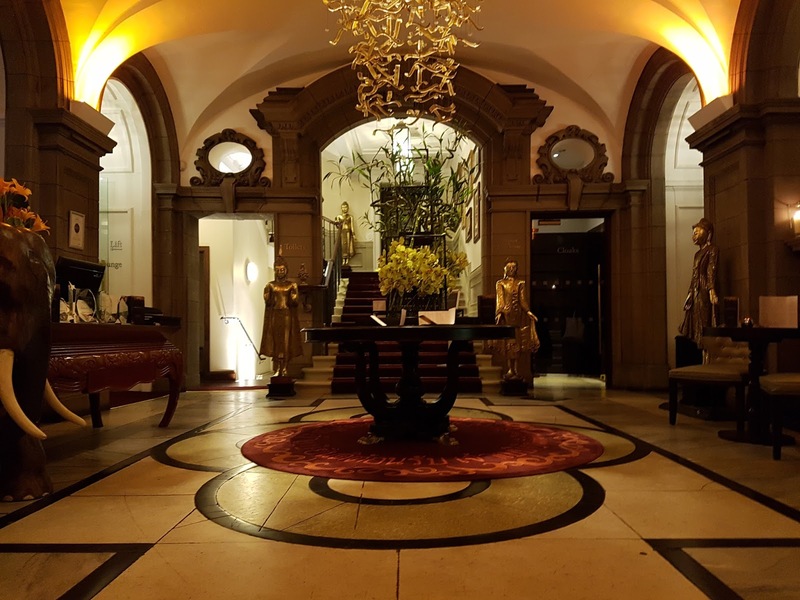 A few weeks ago I was among a lucky few who were given the chance to go along and try out Chaophraya's menu relaunch. It's safe to say that I was wowed by everything from their food to service and everything in between. The whole night was absolutely amazing and I couldn't get enough of the food, was super tasty! When I first arrived at Chaophraya I was amazed by the beautiful decor, all the little things really made it feel grand and inviting. The staff were really friendly which help's a lot, they had smiles on their faces and were more than happy to engage in conversation. I took along Bethany, another Glasgow blogger whom I met at an event and have became friends with. We were shown to our table which was upstairs in the building. Once we sat at the table we were given water and got the chance to try out the new cocktails as well which was a lovely surprise. I went for the Mango Passion which is absolute mango vodka with mango, coconut, lime and vanilla. The whole thing was an explosion of perfection in my mouth. It was a very refreshing taste that tingles in my mouth leaving me wanting more. 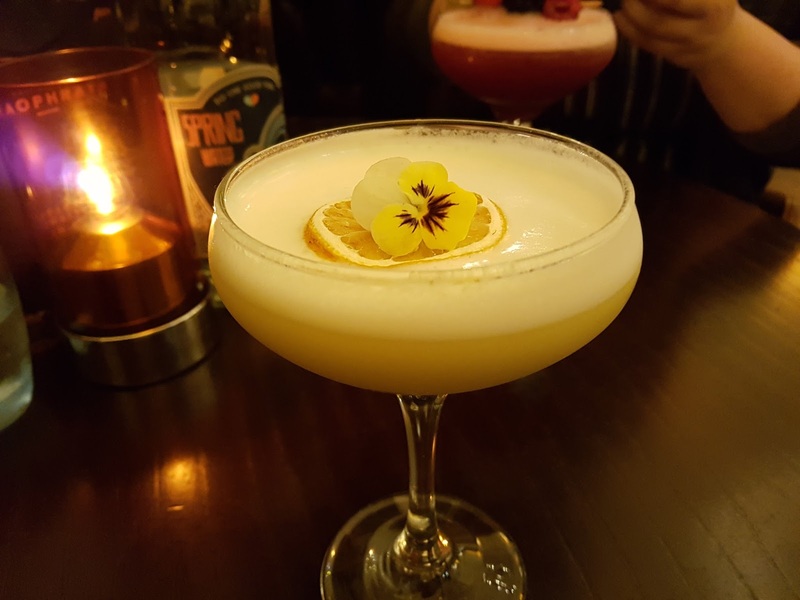 One thing I will say for this cocktail is that it really hit's you once you have stood up (or maybe that is just me haha) But it was amazing, the taste is unlike anything I've had before. The cocktails were a major hit with both myself and Bethany, we done nothing but compliment them the whole night. 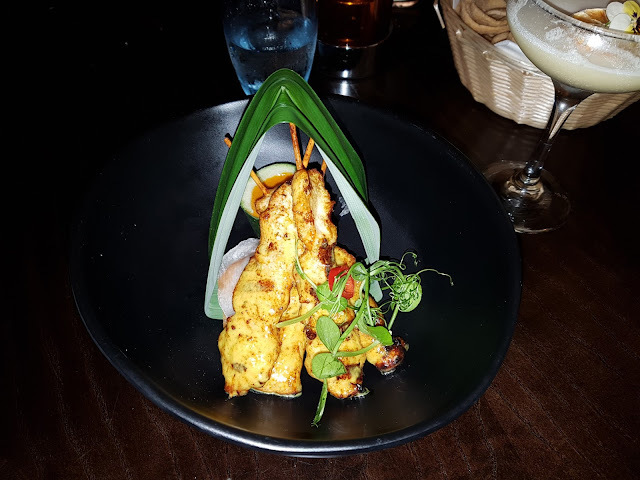 For my starter I went for the "Chicken satay - Satay Ga i, their classic dish of chicken bamboo skewers, carefully frilled over charcoal, served with homemade peanut sauce and vegetable relish" The chicken skewers were AMAZING! I honestly have no words to describe the taste other than YUMMY! My taste buds were in heaven for sure. The dish as a whole was beautifully presented, so much so it was very hard for me to take a bite because I just didn't want to ruin the master piece. I really wish I had taken my good camera with me as the light made it hard for me to snap a decent picture displaying the artistry (I'll know for next time!) The chicken was cooked to perfection and if you have read some of my previous food posts you will know I am not a fan of sauce, well, not one that I haven't tasted before but I have came to the conclusion that I really should get over that fear as they have all been pretty perfect, including this one! The sauce was lovely, very creamy and definitely added a kick to the chicken but not in a spicy way. Bethany went for the" Mushroom Tom-Kha - Tom Kha Het Shimeji and enoki mushrooms in a rich and aromatic coconut soup" Bethany was really nice and let me try some of the soup which to my surprise was very flavorsome. For my main course I decided to try the "Chamber Aged Sirloin Steak - Nua Sirloin Yang Cook your own seared 8oz sirloin stead on a Himalayan rock salt block! Served with a tangy chilli dip alongside stir-fried shimeji mushrooms, onions and Bok Choy" Now, I know what you are thinking because it was exactly what I was thinking when I first read it, COOK YOUR OWN?! but actually, it isn't cook your own and I'm still not sure what they mean by it? but never the less, it tasted absolutely beautiful! The meat was cooked just how I like it, medium/rare. This steak melted in my mouth, I was so shocked by how well it was cooked, ok, maybe shocked isn't the right word but I was pleasantly surprised as I have found some places don't know how to get the cooking of the steak just right. Again, I was a little stand offish with the sauce but I liked it, I can't really remember what it tasted like and I'll tell you why; See those red things, on the steak? well, I thought they were red peppers and there were two under the egg... so I just shoved all 4 of them in my mouth chewed and then swallowed. I began to feel my mouth burning like it was on fire so I drank some water and began to feel my eyes watering. Turns out it was chilli pepper... OH MY GOD, I have never felt pain like that in my life, I scooped up all the egg fried rice that I had to try cool my mouth down and I drank all of my cocktail to try and cool it down but nothing really worked so I just had to wait it out, this meant I only ate half my dinner but that wasn't because of anything other than my own stupidity haha So desert was very welcomed! For desert I had their Ice cream and I got to choose 3 of them so I went for; Toasted Coconut, Salted Caramel, Vanilla Pod. For me the Salted caramel was my favourite, the taste was very refreshing but also very filling. It was the perfect end to a most wonderful meal. All in all the whole experience was perfect. The food was very delicious, the service was impeccable and the cocktails were heaven. I would definitely give everything 5/5. For me Chaophraya is a place for a luxury meal, a great date night, somewhere you can go, relax and have a great time. 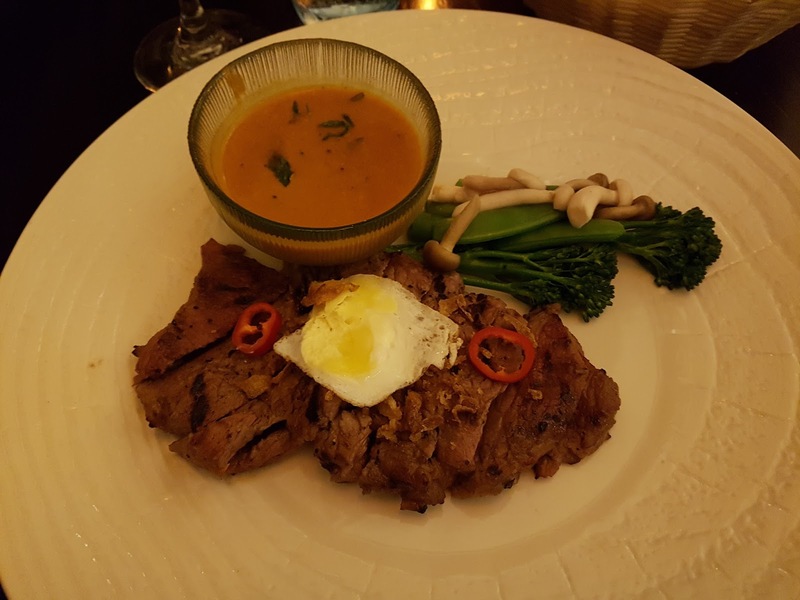 So now that I have told you about my experience here is some information about Chaophraya and their new menu that I received from The PR I have been working with. 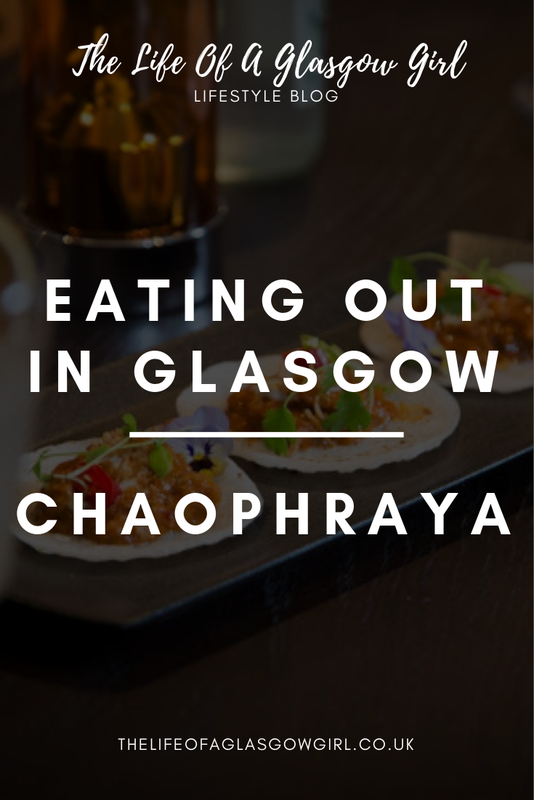 Iconic Thai restaurant Chaophraya Glasgow, is set to transform its dining experience, with the introduction of a revolutionary new menu, heightened service levels and a full change to its logo and signage. Fusing culinary imagination with fine cuisine, Chaophraya’s new menu will deliver a sophisticated edge to Thai dining, by offering a mix of eclectic and contemporary dishes inspired by tastes from across the Thai regions. The new dining experience will see the diner embark on a culinary and cultural journey, by combining the innovative menu with traditional Thai hospitality and opulent décor. Drawing inspiration from the rich culture of Thailand, diners will notice the influence of certain Thai provinces, including Chiang Mai, the Maeklong River, Khanchanaburi and the banks of the Chaophraya River in Bangkok. 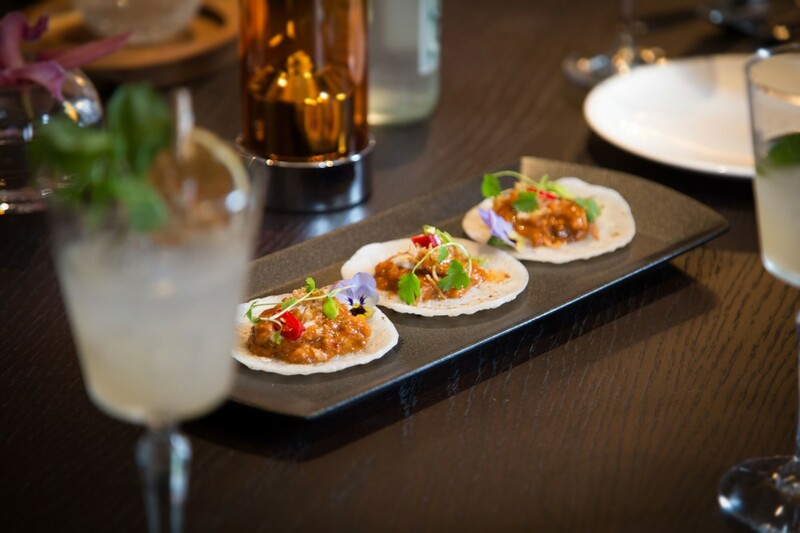 Signature dishes from Chaophraya’s new menu include chamber aged sirloin steak cooked on a Himalayan salt block, soft shell crab served on a bed of mango salad and firm customer favourites including Thai Tacos and Phad Thai served in a contemporary way. 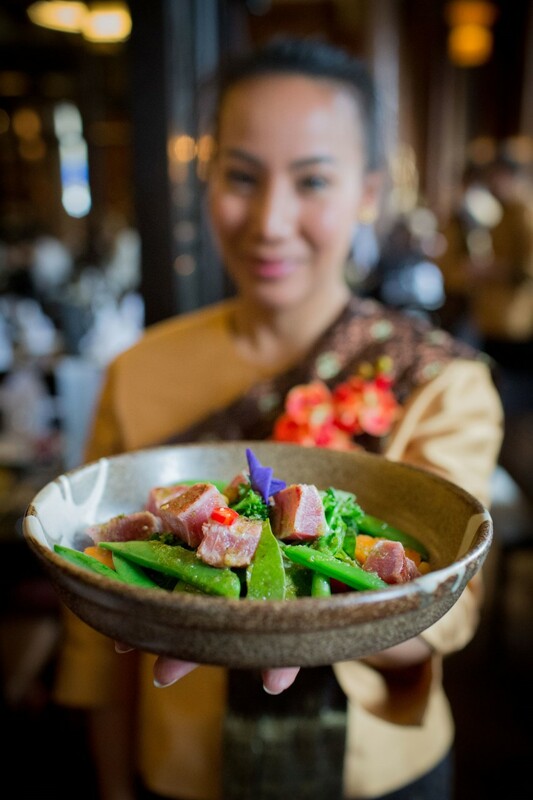 As part of the transformations, Chaophraya will also encourage guests to embrace the traditional way of dining as per Thai culture, by eating ‘family style,’ where multiple dishes are shared by everyone at the table. This new dining experience will challenge misconceptions associated with eating Thai food with chopsticks, as in the majority of cases only noodle dishes are eaten this way, and instead, a spoon and fork will be presented at the table. 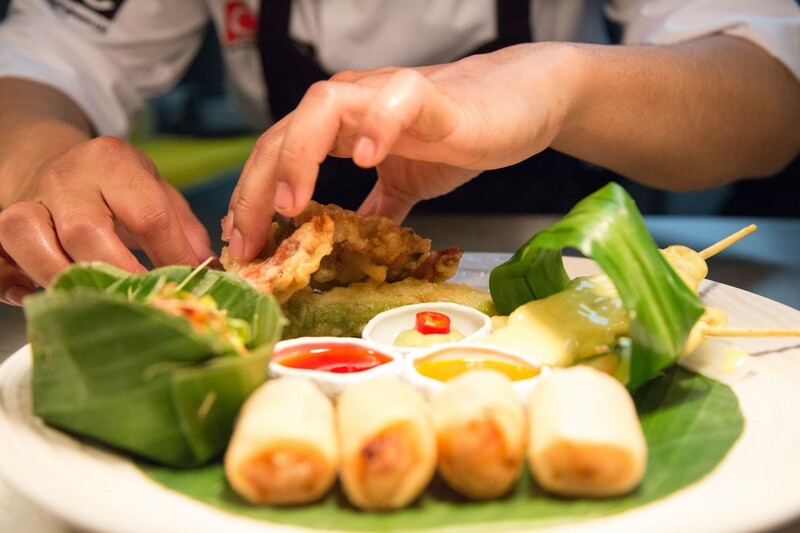 Speaking of the new menu, Nattawut Leela - Development Chef of Chaophraya – says: ““The launch of our new menu is a really exciting development for Chaophraya. Over the past six months our senior culinary brigade have travelled to Thailand to research the latest developments in Thai cuisine and we have blended this with the knowledge of our expert chefs in our restaurants. 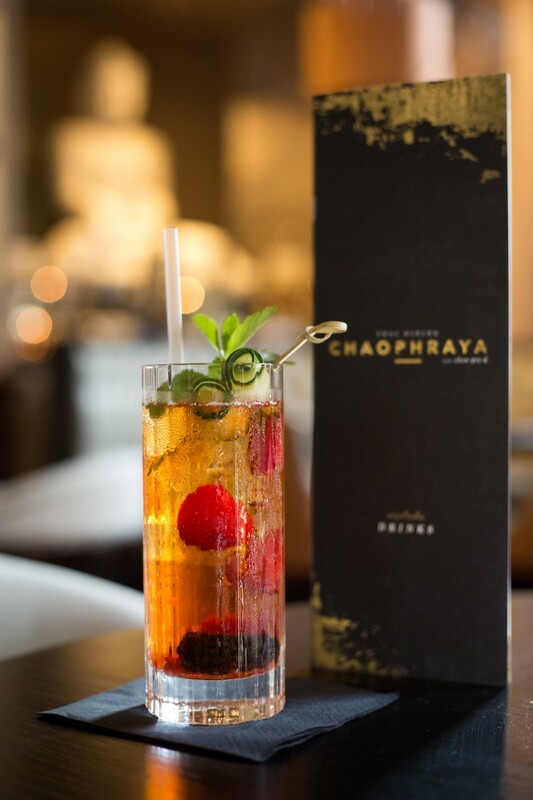 “With a dash of imagination we believe we have created a menu that takes Thai dining to a new level here in the UK.” Chaophraya’s new menu will be served at lunch and dinner from 12th September 2016. Individual dishes will be priced from £6.50 for starters, £10.50 for mains and £7.50 for desserts. That restaurant looks amazing, and not to mention the food. I do like to try out different food from all over! Such a shame this is in Glasgow because it sounds like heaven, especially the toasted coconut and salted caramel ice cream. Hi Jordanne, it looks like a lovely restaurant. I like it when staff have the time to talk, as long as they are not over attentive (I'm a strange one!). The cocktail sounds nice and the ice cream the perfect dessert after chomping on chilies! Lovely photos. The interior looks amazing. And the food looks very yummy. That looks amazing! We decided to go to Glasgow next year for a few days so we are definitely going to try this place! What an amazing restaurant! The food looks so lush. This looks amazing! The prices for the desert sound a bit steep but if they taste good then they're worth it.